It is hard to keep on top of things sometimes, especially in today’s hectic society. Think of a family day-trip as a prime example. You could spend the whole day before making lists of what to bring, but there’s going to be a point in the mid section of the journey when you realize you’ve left something behind. The job of keeping your home clear of junk is comparable to this. All you have to do is forget to keep on top of it for a week or two, and things will start piling up. So don’t stand for it anymore - reclaim that storage and living space with the help of Handy Rubbish! 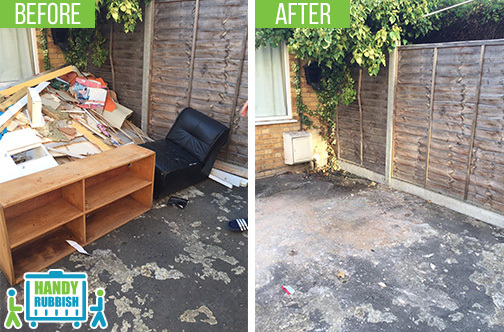 We can provide you with the best rubbish removal in Bexleyheath. Contact us at 020 3540 8282, and we will dispatch a team of Bexleyheath waste clearance experts to help you tidy your home up. All that it takes to hire us is a quick phone call to some friendly staff, and you’re off! You’ll have all of that space back in no time! Need an Efficient Clear at Your Property? Try Our Rubbish Disposal Services in Bexleyheath! For a quick and simple home clear, try one of our Bexleyheath, DA6 rubbish disposal packages! Clear up the garage and garden waste with a more specialized garage or garden clearance service! Get some affordable office clearance with the help of our DA6 commercial clearance professionals! Our Waste Disposal Services In Bexleyheath, DA6 Are The Pick Of The Brunch! For those wanting more piece of mind, rest assured. Our team of DA6 waste disposal staff take all of the health and safety guidelines into account when doing their job. Potentially hazardous materials like the acid in car batteries, bladed tools etc., are handled with absolute care. Safety is paramount here - so don’t worry. So to summarize. Our Bexleyheath waste removal DA6 is a quick, easy, affordable and thoroughly safe way to clean up whatever you like. From homes, gardens right through to places of business, we have all of the tools to make it happen! Call us today and hire the greatest waste collection Bexleyheath, DA6! Was in much need of rubbish clearance for my loft in Bexleyheath. Fortunately, everything went as planned with Handy Rubbish. Very happy with the results! I had a few pieces of furniture in Bexleyheath that I needed disposing of. I went for their waste collection service in DA6 and was astounded by the result! Great value for money overall! The Wonderful Suburb of Bexleyheath is a Great Place to Live! Bexley Heath was a very small settlement comprising mostly of scrub land, right up until the early nineteen century. After that, it has become the suburban district that we know and love today. Modern Bexleyheath (or Bexley New Town) is a part of Greater London, and spans the DA6 and DA7 post code areas. The Bexleyheath town centre is a very modern looking place, filled to the brim with shops, cafés and other service providers. It’s been through a fair few developments over the past couple of years, so it’s still bang right up to date. 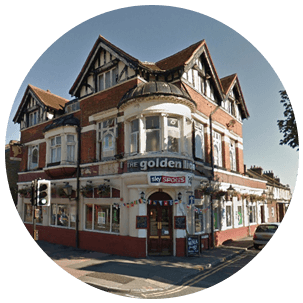 There are also a number of leisure and cultural hot spots in Bexleyheath. These include the Edward Alderton theatre, a five-a-side football arena and a ten-pin bowling alley. So it’s easy to keep active in Bexleyheath! Public transport serves Bexleyheath well - there is a railway station that connects this area with Peckham Rye and Charing Cross among others. In addition to this there is Transport for London bus routes that keep things moving along.